If shaved ice desserts are what you're after, look no further than this new business. Located at 265 Canal St. (between Cortlandt Aly & Lafayette St) in Chinatown, the fresh arrival is called Bonsai Kakigori. This new spot--located in the Chinatown food hall at Canal Street Market-- specializes in kakigori, Japanese-style shaved ice. It's made by "carving a block of pure ice using a special machine (imported from Japan, in this case), and adding toppings to create flavors like mango or melon." With a five-star rating out of six reviews on Yelp so far, the new arrival has been warmly received by patrons. 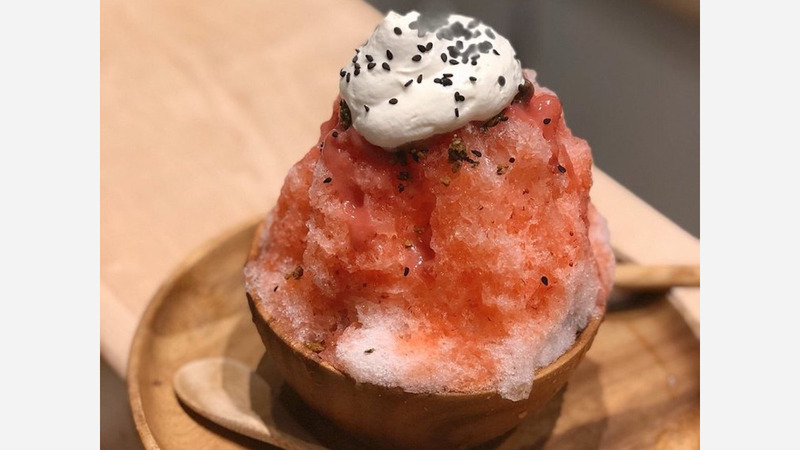 Michelle L., who was among the first Yelpers to review the new spot on January 14th, said: "Bonsai Kakigori is an awesome new dessert shop inside Canal Street Market! They specialize in kakigori, aka Japanese shaved ice, and which they make using a cool hand-cranked kakigori machine." Yelper Amy Y. added: "Love love love this new Japanese-themed kakigori (Japanese ice) that just hit NYC. Was able to make it into the shop 20 mins before closing time, but that didn't stop them from creating all the kakigori's with love!" And Mike C. said: "The newest dessert that's about to take over your Instagram feed comes from a stand in Canal Street Market, replacing the healthy Lulu on Canal spot right in the front of the market." Bonsai Kakigori is now open at 265 Canal St., so stop in to try it for yourself.